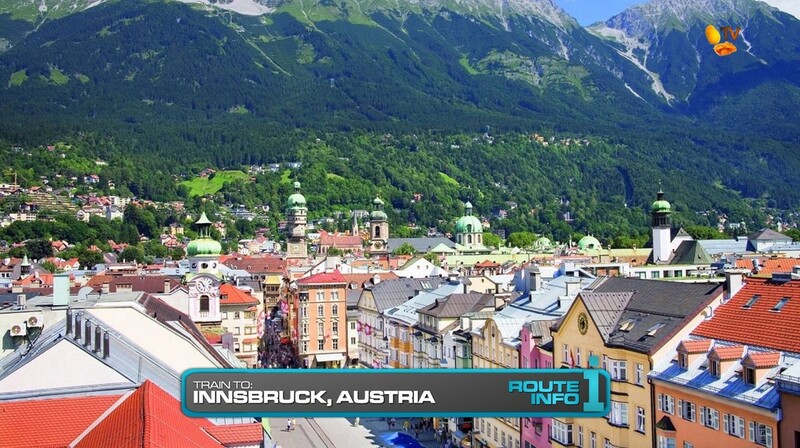 The six teams set off on the 8th Leg of the Race as they travel by train from Paris through Munich, Germany to Innsbruck, Austria. Once in Innsbruck, teams must choose a brand new 2016 Kia Sportage outside Innsbruck Hauptbahnhof which also contains their first clue. 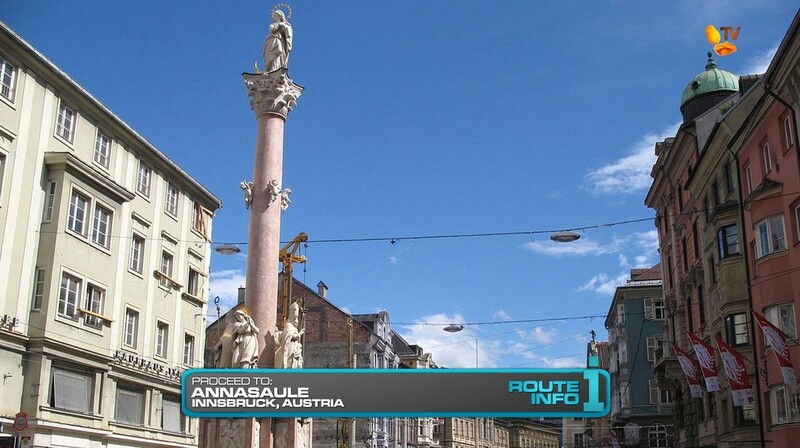 That clue directs teams to the cluebox at Annasaule in downtown Innsbruck. 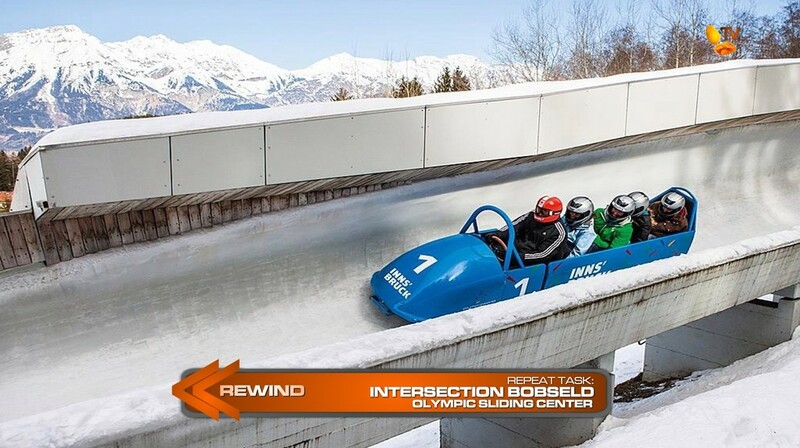 Teams must then drive to the Olympic Sliding Center where *GASP* there’s an Intersection!!! 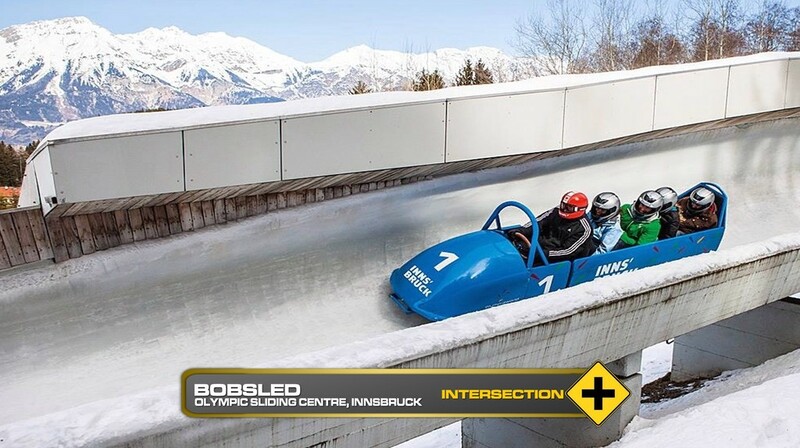 For this Intersection, teams will pair up and join a pilot on a guest bobsled down the Olympic bobsled track reaching speeds of 90 km/h. Afterwards, teams will discover a brand new twist! A Rewind will appear after any non-Detour task. A team (or teams) can force another team (or teams) to “Rewind” the just completed task. That is, teams who have been forced to Rewind must immediately repeat the Active Route Info task or Road Block that they’ve just completed. For this Rewind, the Intersected teams who decide to use it will choose one team to place on the board. That team and whichever team they have Intersected with will be forced to Rewind. After the Rewind, teams will be given the next clue revealing the Detour: Hike Up or Slide Down. 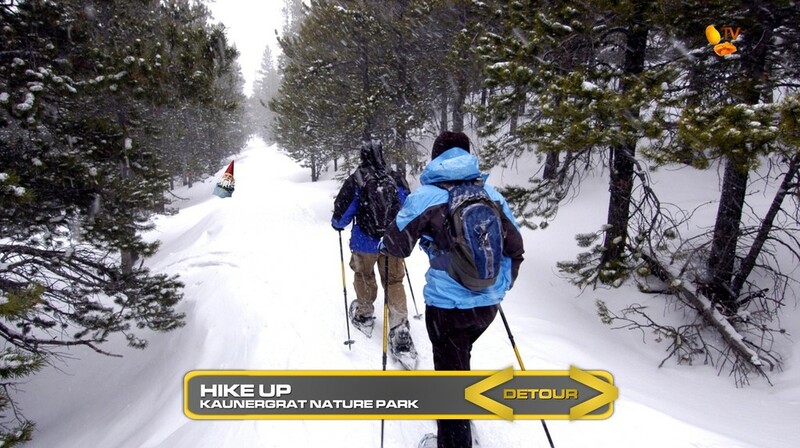 In Hike Up, teams will drive to Kaunergrat Nature Park where they will put on snowshoes and hike up the mountain to search for a Travelocity Roaming Gnome using an avalanche rescue transceiver. 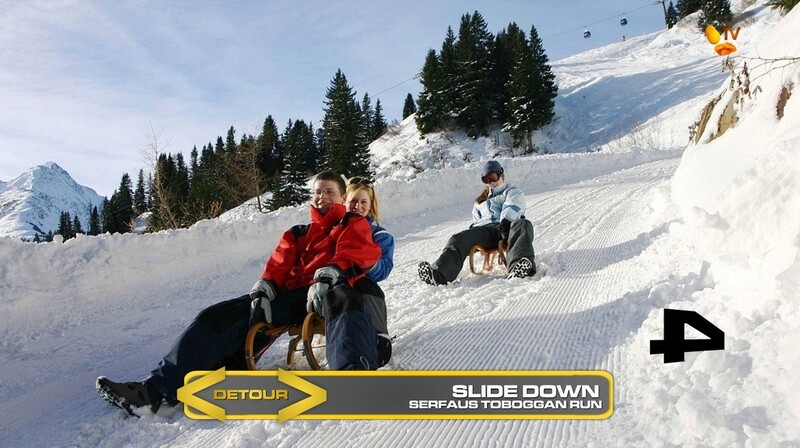 In Slide Down, teams will drive to Serfaus Toboggan Run and slide down on a toboggan while memorizing a series of numbers along the way that will unlock a box at the bottom with the Travelocity Roaming Gnome inside it. Their next clue will be printed on the bottom of the Travelocity Roaming Gnome which they must keep with them the entire Leg. 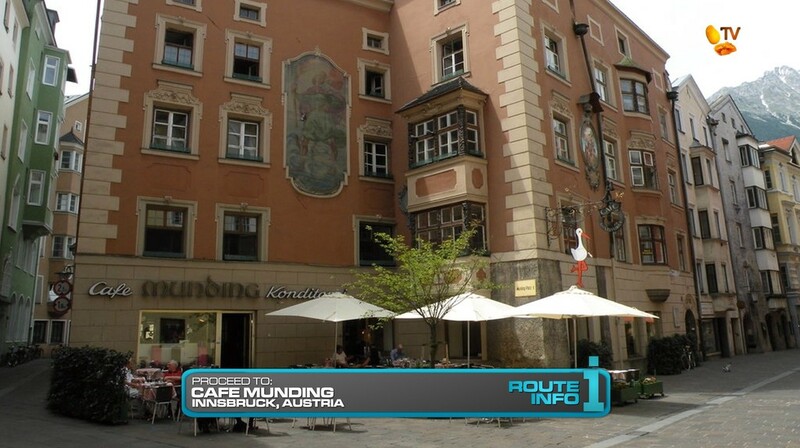 And that clue points teams to the 200 year old cafe, Cafe Munding in Innsbruck. It is here that they will find the Road Block: Who has a sweet tooth? 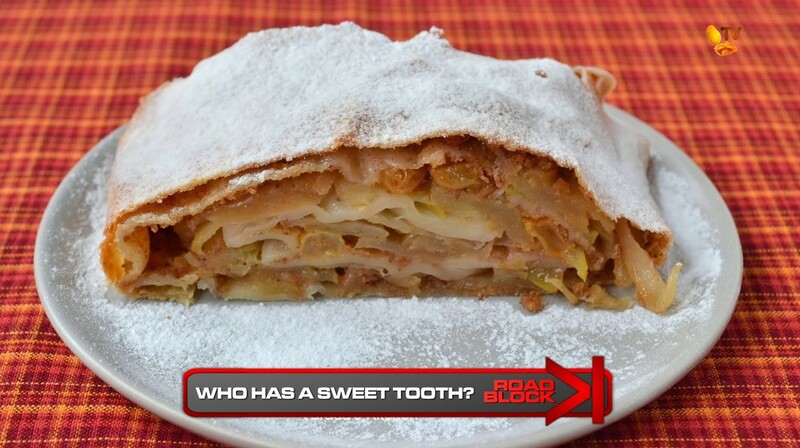 In this Road Block, Teams must eat their way through dozens of different strudels to identify one that has an apple filling, Austria’s favorite, to receive their next clue. Once teams have taken a bite of a strudel, they must eat the whole thing before trying another. 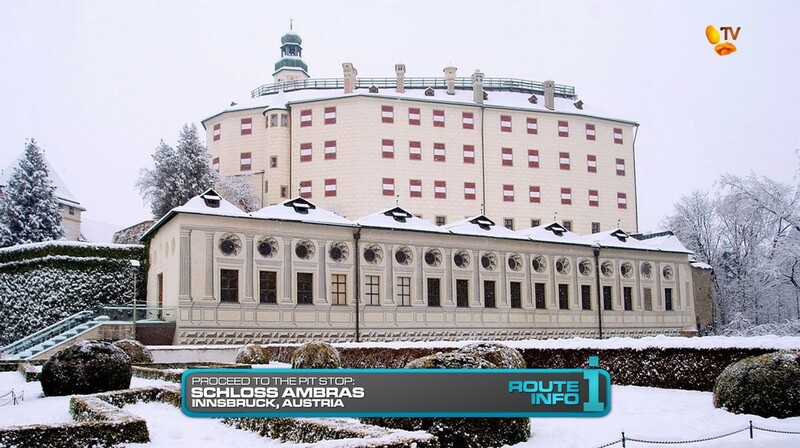 When teams have had their fill of strudel, they can drive themselves to the Pit Stop, Schloss Ambras. This Leg will definitely be a wintery Leg. And Austria is one of the best places for that to take place in. Visiting Innsbruck, you gotta have an Olympic task of course. And looking up the different Olympic legacy venues, I saw they had a “guest” bobsled where four people can hop into. Perfect spot for an Intersection! If there are still any whole families left at this point (and at 6 teams left, there may be one or two), this Intersection and the eventual Rewind could finally break them up. But I’ve been thinking of something where teams needed to repeat a task or both team members are forced to complete a Road Block. The Detour takes advantage of two fun activities in the snowy mountains. And the Road Block is your requisite eating task on the Race. And yummy apple strudel though! 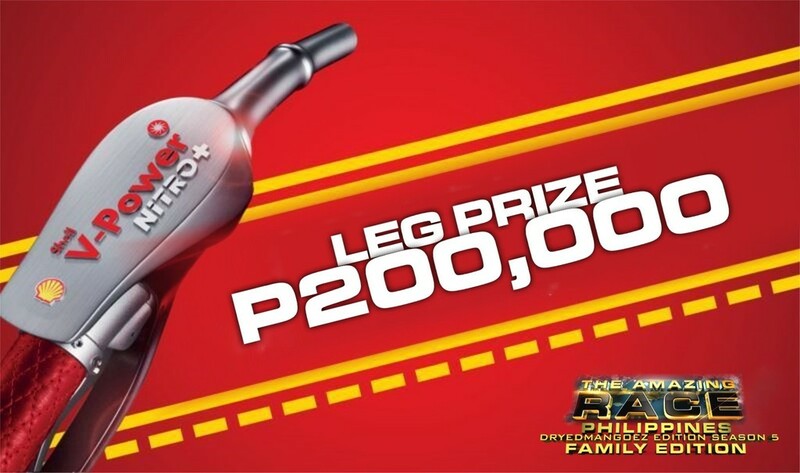 This should be a very good Leg, especially with Filipinos running around in such a wintery European country.